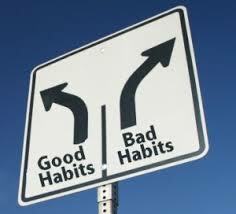 A bad habit is any bad activity that a person has adapted to or has become accustomed to. Some of the many activities which are quite commonly referred to as bad habits are smoking, doing drugs, drinking alcohol, lying, and stealing. People often adapt to bad habits, which is something that a person should never do. Bad habits are things which a person should always stay away from and are things which a person should keep their kids away from. Why to keep your teen kids away from bad habits? Keeping their kids away from bad habit is sort of embedded into every parent’s mind. However, have you ever wondered why you need to keep your teen kids away from bad habits? The reason why parents need to keep their teen kids away from bad habits is not only the fact that bad habits are bad and, in most cases, illegal. The reason why parents need to keep their teen kids away from bad habits is the fact that teenagers have been found to be more prone to adapting to bad habits. Teenagers quite commonly develop bad habits and become involved in bad activities such as doing drugs and drinking alcohol, which is why parents should make sure that they keep their teenage kids away from bad habits at all costs. How can a parent keep their teen kids away from bad habits? You can easily keep your teen kids away from bad habits by explaining the disadvantages of developing bad habits and getting involved in bad activities to them. Teenagers are more than capable of understanding what is good for them and what is bad, which is why explaining the disadvantages of developing bad habits to them is considered the best way to keep them away from bad habits. Parents should be lenient, but only to a certain degree. If a parent sees that their teenage kid is getting out of bounds, they should become strict with their kid. Where parents should always try to resolve matters involving their kids using love, they should be a little strict form time to time. However, parents should also make sure that they do not go out of bounds with their strictness. If parents want to make sure that their teenage kids do not develop bad habits and do not get involved in bad activities, it is necessary for them to set the right example for their kids. Another way using which you can keep your teen kids away from bad habits is by making sure that they are not surrounded by bad influences. Bad influences, including friends and family members who have developed bad habits or are involved in bad activities, can easily corrupt a teenager, which is why parents need to make sure that their teenage kids are not surrounded by bad influences. How do you think a person can keep their kids away from bad habits?